I actually made and photographed this the other day, but while fighting with the laptop upgrade, I didn’t have time to post it. 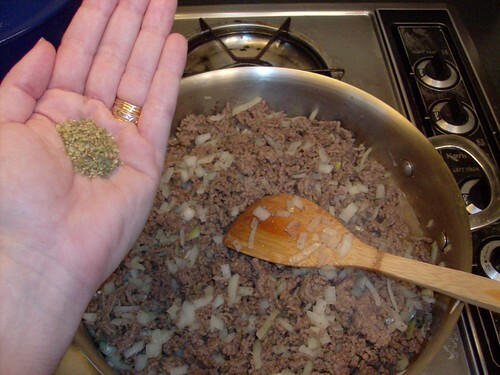 Start with a pound of ground meat (either beef or turkey). 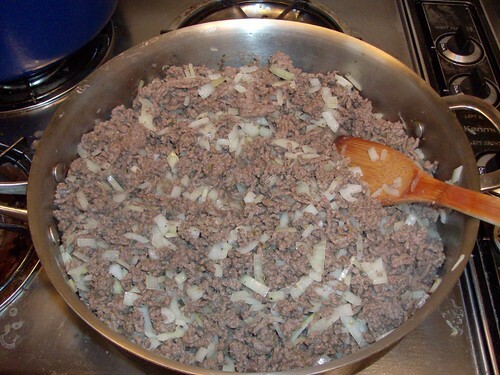 Brown it in a large skillet, and add in a finely chopped onion. Saute the two together until the onions are softened. Take a jar of olives – the good old basic green ones with pimentos. No time for fancy-shmancy oil-cured imported ones. 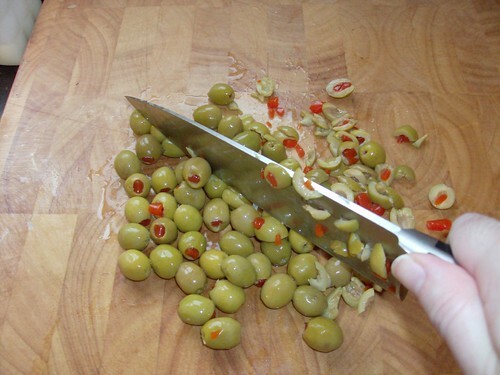 Chop up half the jar of olives. Doesn’t have to be super finely, just a nice rough chop. 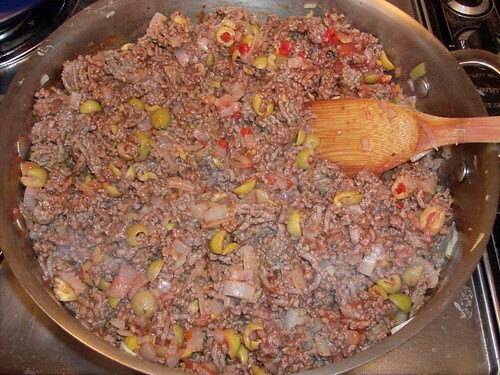 Pull the skillet off the heat, and add in the good stuff – 8 oz. 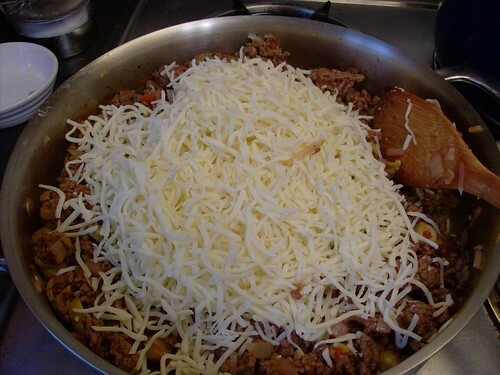 of shredded mozzarella. 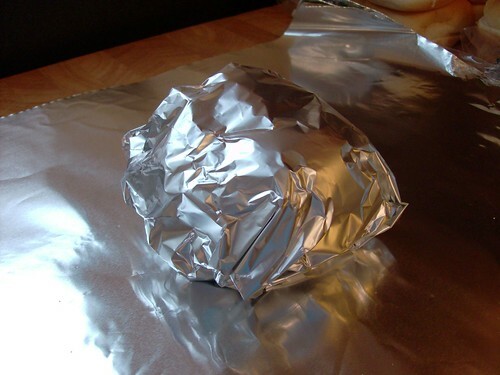 And wrap it up into a nice little bundle. 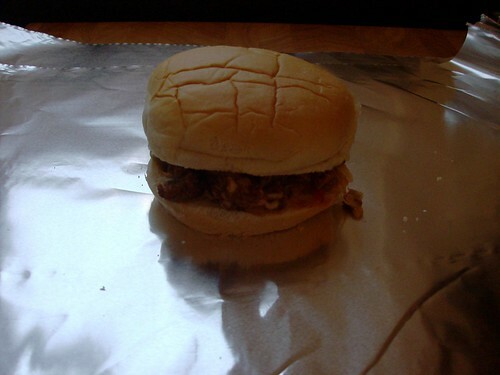 Once you have all of the sandwiches assembled and wrapped, pile them on a cookie sheet (or in my case, pizza pan) and pop them in a 350 degree oven for about 30 minutes. And then, enjoy. Several of them, if you are me. ETA: I HATE green olives. No, seriously – I will not eat them. 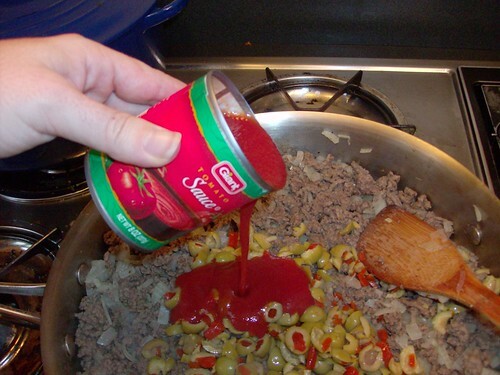 But they totally work in this, and you don’t get that green olive flavor. Black olives don’t have the right flavor. Trust me on this – just try it. And if you are freezing them, you don’t need to bake them first. 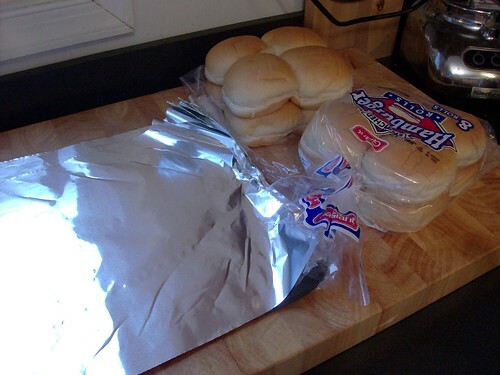 Just wrap them and throw them into the freezer. 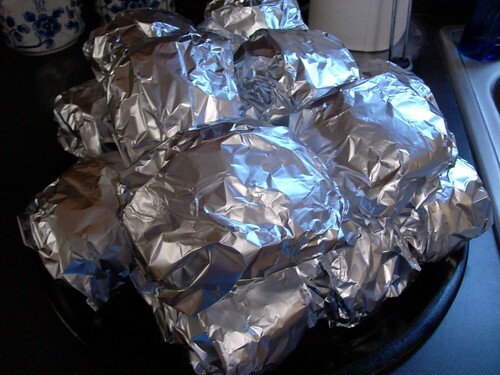 You can also freeze them after you bake, so no worries if you have leftovers. 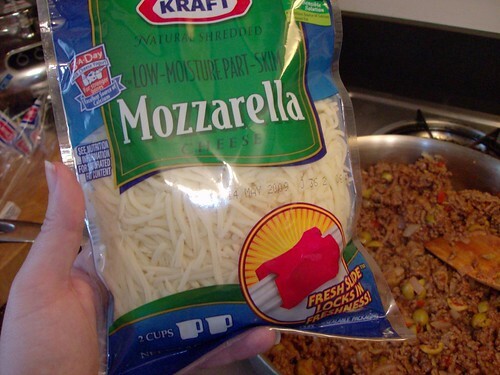 Put those in the freezer (I usually put them in a baggie), and pop them in the oven when you want to eat them. 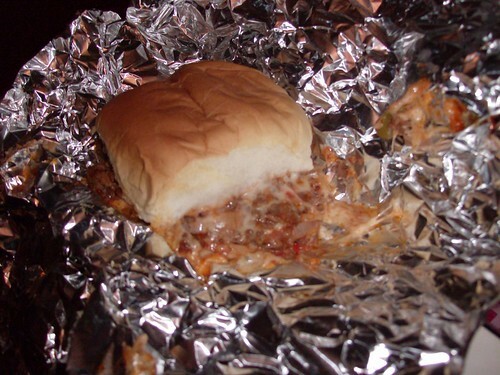 January 8th, 2009 | Tags: Food | Category: Misc. 11 comments to It’s Recipe Time Again! Oh..my..so drooling here! Thanks for sharing! Oh my goodness. I’m with Zonda and I need a drool cup. I think I will make those this weekend. 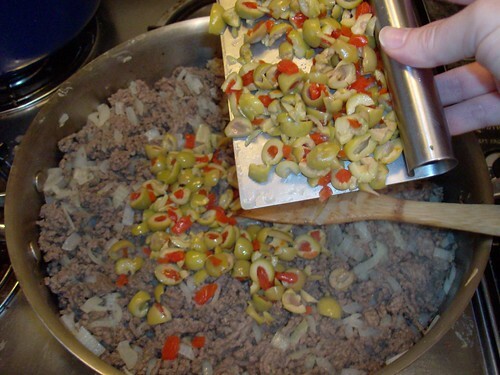 That sounds good…well minus the olives! I’m with Bezzie. Of course, minusing out the onions too. Or chopping the heck outta them so they are miniscule. Hmm…maybe black olives would work. YUM!!! I think this will be added to my grocery list today and we’ll have them this weekend. Thanks! YUM. 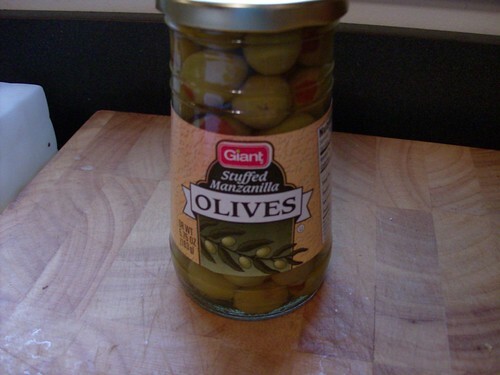 Jason hates green olives, so I may just have to use fancy schmancy ones…but…YUM YUM YUM. I’m with Cristi … black olives instead of the green and I’m in! I just had this recipe for my dinner and may I say yum! I added a little garlic and a few mushrooms. It was very good. Thanks for the recipe! Hubby and I started a low carb, high fat regime a few months ago and I think this would be great! 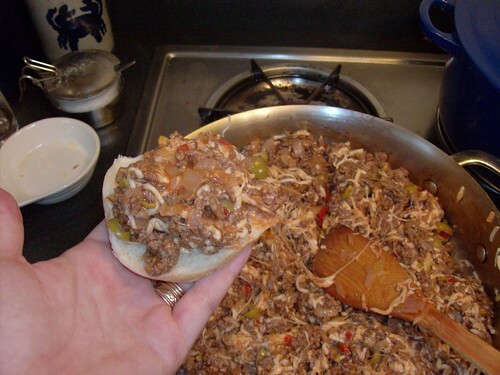 I will substitute cabbage leaves for the hamburger buns, though. And, knowing hubby, there will be garlic!